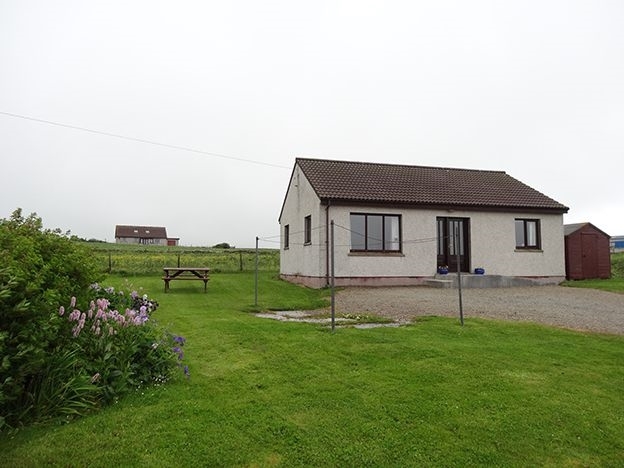 Modern cottage situated in Pierowall village, towards the north end of the island of Westray. Local shops and hotel within walking distance. Numerous beaches nearby, great for wildlife. 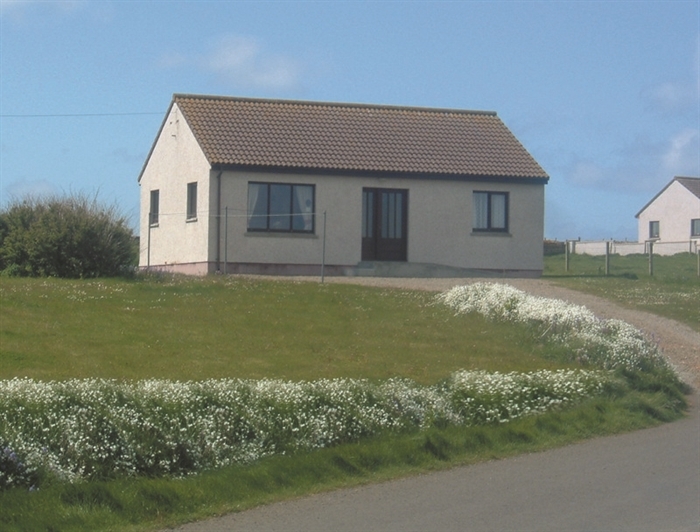 Daisy Cottage is situated in Pierowall village, in a quiet spot looking out towards the sea. 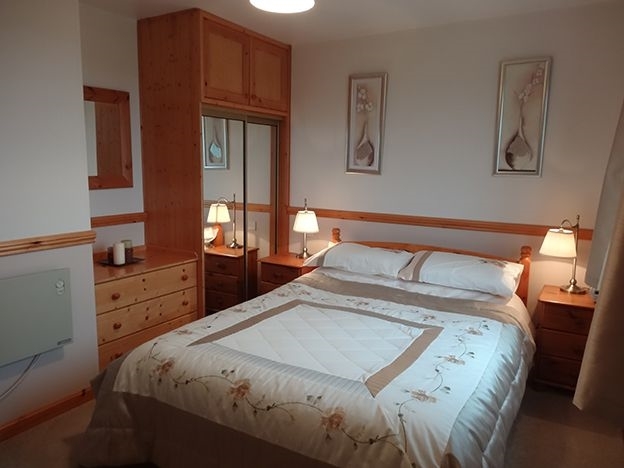 There is parking for two cars and a large grassy area in front of the cottage, and a bench, where you can sit on a warm day and watch the world go by. Outside, a timber shed is available for stowing cycles and other bulky items. The lounge is fully equipped with television, DVD and telephone, and there is ample light for reading, though in summer this is hardly necessary. 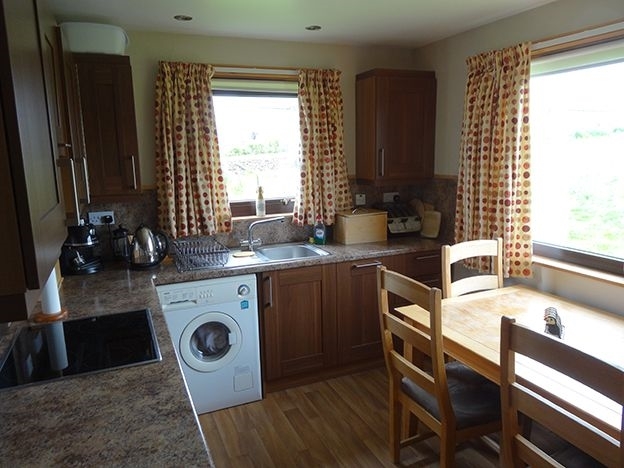 There is a double bedroom at the front and a twin to the rear, offering comfortable sleeping for four people.The well-equipped kitchen has all that you will need to cook substantial meals and eat them, with a wonderful view to the fields behind. Heating is by electricity; the meter will be read before and after occupation and charged at cost at the end of your visit. 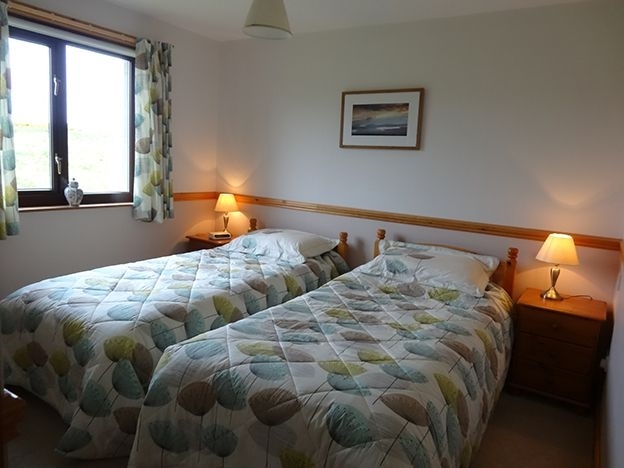 We trust that you will enjoy our comfortable cottage... our aim is to make you feel welcome and at home and that you will keep returning to Westray for your holidays. Take the road north from the Rapness ferry terminal, and drive for approximately nine miles and you will come to Pierowall Bay and Pierowall village. First you will see the sea wall at the sharp left hand bend at Chalmersquoy. Drive through the village passing the Pierowall Hotel on the left, then the road left signed to Noup Head and then, as you pass the school you will see the Gospel Hall to the left and the Royal Bank of Scotland to the right. Turn left after the Gospel Hall and you will see Daisy Cottage in front of you. Please note: we operate a strict no smoking on the property.